This may be hard to believe, but I actually put some thought into writing this column. First, I have to figure out what to write about. In the past week, a few topics caught my eye. There were the promotional videos by the Singapore Tourism Board and SingTel, both of which have been ridiculed as “cringeworthy” on social media. This topic is what I call a “low-hanging fruit”. It's an easy target. You can get some laughs just by describing the videos. Readers are ready to laugh along with you laughing at the videos because everyone is already laughing at them. But I’m reluctant to jump on the bandwagon and join the pile-on by adding my voice to the disapproving chorus. One option is to provide a contrarian view as I did when I defended last year’s similarly much mocked National Day Parade theme song, which I genuinely liked. Unfortunately, I can’t say I genuinely like the two videos and I don’t want to be contrarian just for the sake of being contrarian. Besides, Neil Humphreys is already writing about it in his column, so screw it. 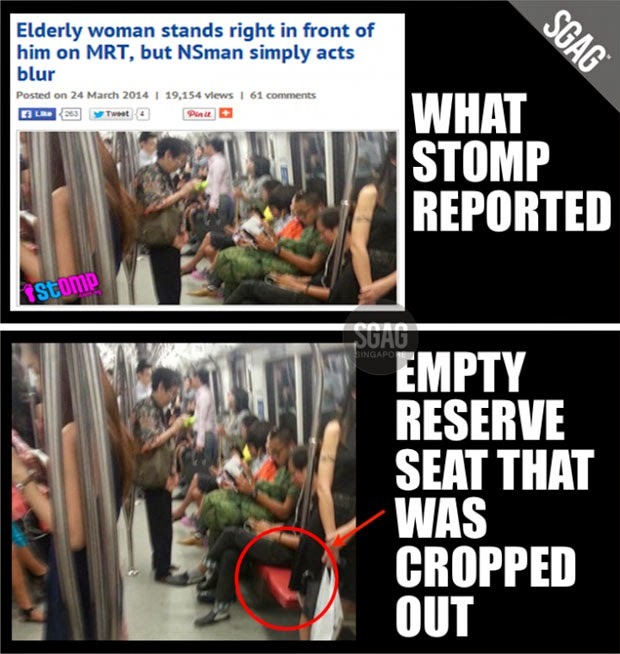 Another hot topic last week was the petition to close down Stomp.com.sg, owned by Singapore Press Holdings (SPH). But I can’t comment on this because I work for The New Paper, which is also owned by SPH, and so there’s a clear conflict of interest. If I write anything nice about the petition, I would be biting the hand that feeds. If I write anything bad about the petition, I would appear to be trying not to leave teeth marks on the hand that feeds. If I no longer work for SPH, then I could comment ingenuously on the topic, like former SPH journalist Bertha Henson did on her blog. She seems to disagree with the petition that Stomp should be shut down but accede that something has to change. “Any media must move with the times, the demands of its ever-changing audience and in the case of Singapore and its media duopoly, show how responsible online journalism should be conducted. I appreciate that she disclosed she was “party to the setting up of Stomp all those years ago” and provided some insight on the intent behind the site’s creation. And as far as I can tell, the intent was not to turn whether you give up your MRT seat to someone who may need it more into a blood sport. But like I said, the topic of the Stomp petition is a no-go for me. 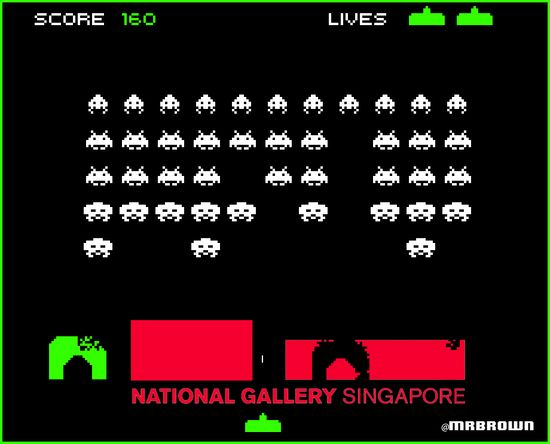 How about a “safer” controversy like the new National Gallery Singapore logo? It’s basically just two rectangles side by side, one shorter and wider than the other. It has been criticised as bland and lazy. I call it “the emperor’s new logo”. But again, this is a low-hanging fruit. Even Mr Brown has made fun of the logo and once Mr Brown gets into the act, you’re just following the tide. How about a contrarian view? I could defend the logo like I defended the NDP song. But even that has been done. On Wednesday, My Paper, another SPH publication, ran an article praising the logo. The article was contributed by Mr Daniel Yun, who used to be my boss at MediaCorp and is best known as the man who produced Liang Po Po The Movie. He left MediaCorp in 2009 and recently started an acting school called Act Academy. Mr Yun explained in the article that the two rectangles in the National Gallery Singapore logo represent the two iconic buildings, City Hall and the former Supreme Court, which house the gallery. Ohhhhhhhhhhhh, now I get it. “Some said: ‘You pay millions for such a logo? My child can do it.’ Ironically, it will take maturity to see the beauty in simplicity. 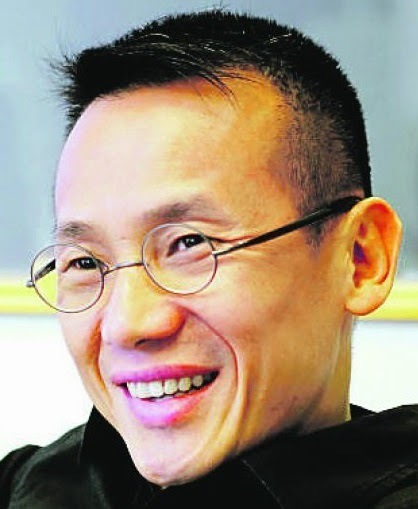 But what wasn’t disclosed in the article is that Mr Yun has a twin brother, Mr Woon Tai Ho, who happens to be the director of media and marketing at National Gallery Singapore. Hey, I’ve just figured out what to write about for next week’s column. There is a private school in Jurong East called Hanok Korean Class which is Singapore’s highest rated Korean language school with certified instructors. So what if it happens to be run by my sister?